Hello. 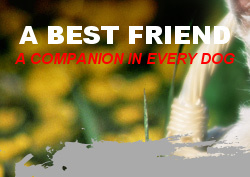 Welcome to A Best Friend Dog Training of Gulfport, Florida. My name is David Ochoa and I own and operate A Best Friend. I was born and raised in Detroit, Michigan and lived in that wonderful state for 35 years. In 1985 I visited Florida for the first time and spent about 3 days here (long enough to fall in love with the beautiful dog friendly city of Gulfport, FL. and its beautiful people.) A few months later I came back to stay and I've been here ever since. I share a home here with my wonderful wife, Jeanne, my German Shepherd - Vato, Jack Russell Terrier -Valentine, two cats - Lucy and White Cat and more recently Oscar - our porcine companion. I have been training dogs for well over 30 years and helping their guardians learn how to live with them and I am certified by the Certification Council For Professional Dog Trainers as a Certified Professional Dog Trainer-KA Certificate # 1143589. I also trained at SPCA Tampa Bay and achieved the highest level certification, Level III Family Dog Trainer. My best friend Vato and I were also a working team with Sarasota K9 Search and Rescue. As part of this exceptional team of K9's and handlers we trained and successfully completed testing for "A" Wilderness Live Search and Human Remains Detection. In addition we also successfully completed training in Detection of Human Remains in a Disaster Environment, Detection Dog, and also trained with the Venice Fire Department, Sarasota County Sheriff's Office and Florida Wildlife Commission on Helicopter, Airboat, Fire Ladder Truck, and Powerboat Training and Safety. As members of Sarasota K9 Search and Rescue we participated in several deployments and had the opportunity to work alongside local police departments, various Florida County Sheriff's Departments and FBI. Vato has also passed Proficiency Testing and most recently he has tested and been certified as Therapy Dog by Therapy Dogs International, New Jersey. All training for Obedience, Canine Good Citizen, Proficiency and Therapy Dog was done solely by myself. I specialize in puppy training, obedience training and helping to ease or eliminate problems that may keep your dog from being a companion that can accompany you on your outings. I believe that every dog can be an obedient, courteous, well-behaved companion if given the proper attention and training, especially during his first several weeks of life. A dog is born with certain instincts. It is these instincts that dictate his obedience and behavior. This is the basis on which you can rely to make your dog your companion, a family member, and make you, your dog's "best friend".